Lavu Inc. has announced an update to their license levels: the Platinum license is being replaced by the new Lavu Professional (Pro) license. Lavu Pro will make it easier for small businesses to obtain a full-featured iPad POS system by reducing upfront cost. Larger businesses and franchises who desire the premium features will pay a significantly reduced license upgrade cost. Lavu POS continues to be a full-featured point of sale system for any type of restaurant, from food trucks to upscale nightclubs and fine dining establishments. Silver and Gold POS Lavu licenses will remain available at the same prices. The new Lavu Professional license will be available starting Nov. 20. New customers will be able to sign up for a Lavu Professional license from the Lavu iPad POS website, and existing Lavu customers can upgrade through their Admin Control Panel. Lavu Platinum Licenses will no longer be available for purchase after Nov. 20. With Lavu Pro, customers will have access to the additional features and reports that are available to current Platinum license holders. The base price for Lavu Pro is $ 2,495 with a monthly hosting fee of $ 149 for three iPad terminal devices. For each additional terminal device, the monthly hosting fee will increase by $ 20. Lavu Pro will also allow for up to 20 handheld devices, including iPhones, iPod Touches, or iPad Minis in Tableside mode. Lavu Sales can provide more information or assist in referring a local Lavu Certified Specialist. Lavu Certified Specialists will be able to access and upgrade customers to the Platinum license until January 7, 2014, when the Platinum license will no longer be available. Lavu Sales can be contacted at 855-528-8457 option 1. Founded in Albuquerque, NM, and operating worldwide, Lavu Inc. was formed as a solution to common point of sale problems and restaurant industry issues. 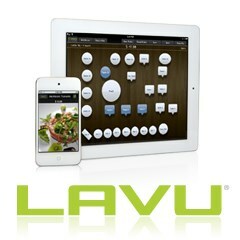 Lavu Inc. offers POS Lavu as a full-featured restaurant point of sale software solution at a fair price. Through cloud computing, wireless mobility, and multi-touch devices, Lavu iPad POS redefines the entire approach to restaurant business management.